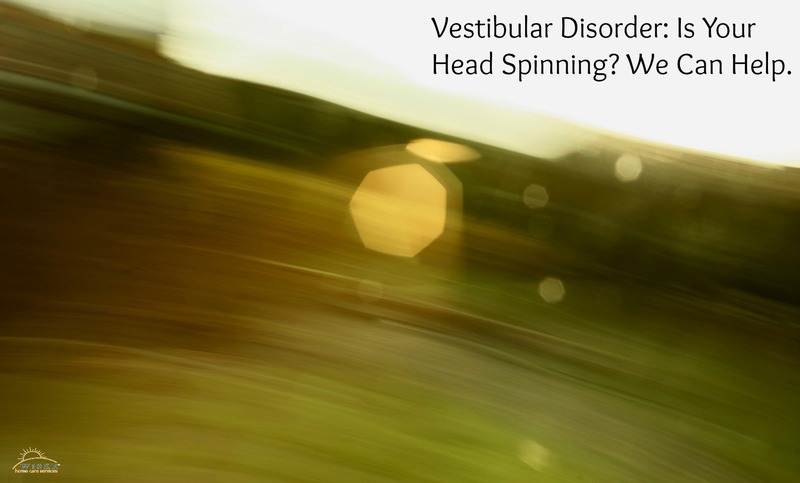 Vestibular Disorder: Is Your Head Spinning? We Can Help. Thanks to Starbucks, even though Fall doesn’t technically start until the end of September, as soon as the clock strikes midnight on September 1, it is Pumpkin spice everywhere. This year, Fall officially starts on Thursday September 22. Not only is this week home to the first day of Fall, but it is also National Balance Awareness week. National Balance Awareness week was founded by the Vestibular Disorders Association with the goal of informing people about the symptoms of vestibular disorders in an effort to quicken diagnosis and treat people more efficiently. You may be wondering, what is a Vestibular disorder? According to the Seattle Dizzy Group, the word “vestibular” refers to the inner ear balance system. These disorders typically start out with symptoms such as dizziness, vertigo and disequilibrium. It is estimated that over 1/3 of all Americans over the age of 40 have experienced symptoms relating to a vestibular disorder at one time or another. If experiencing vestibular disorder symptoms isn’t bad enough, sufferers are also at a higher risk of experiencing a fall as a result of dizziness. This is especially dangerous for our elderly loved ones. Why is a simple fall so dangerous? Well, according to statistics released by the NCOA, “every 11 seconds, an older adult is treated in the emergency room for a fall, and every 19 minutes, an older adult dies from a fall.” Furthermore, falls are the leading cause of fatal injury and the most common cause of non-fatal trauma as well. While all of these can cause imbalance and dizziness, the most common cause is inner ear problems. In the inner ear, there are special nerves that detect the position and movement of the head, as well as the direction of gravity. As we age, these nerve cells decrease in number and can eventually lead to dizziness, imbalance and a full-blown vestibular disorder. Once you start experiencing dizziness or imbalance, head straight to the doctor. If you catch it early enough many of the causes of dizziness, imbalance and vestibular disorders can be treated and/or diminished with simple lifestyle changes. During the checkup, the doctor will determine what the root cause of the imbalance. They will ask questions regarding medications, symptoms being experienced and any balance muscle weaknesses. Once finished, the doctor will determine a long-term care plan. Then they will be on the road to recovery. Do you know someone who is already suffering from a Vestibular Disease? We can help. If you would like to sit with us and develop an extensive care plan, please contact us. We will be happy to answer any questions you may have.